The Nano Bantam folder is the smallest and lightest knife in Buck's Bantam series. This pocket knife has a contoured thermoplastic handle with a light texture and a lockback mechanism. The blade is satin finished 420HC steel with a nail nick for opening. The Nano Bantam is an excellent choice for keychain carry with the lanyard chain hole. 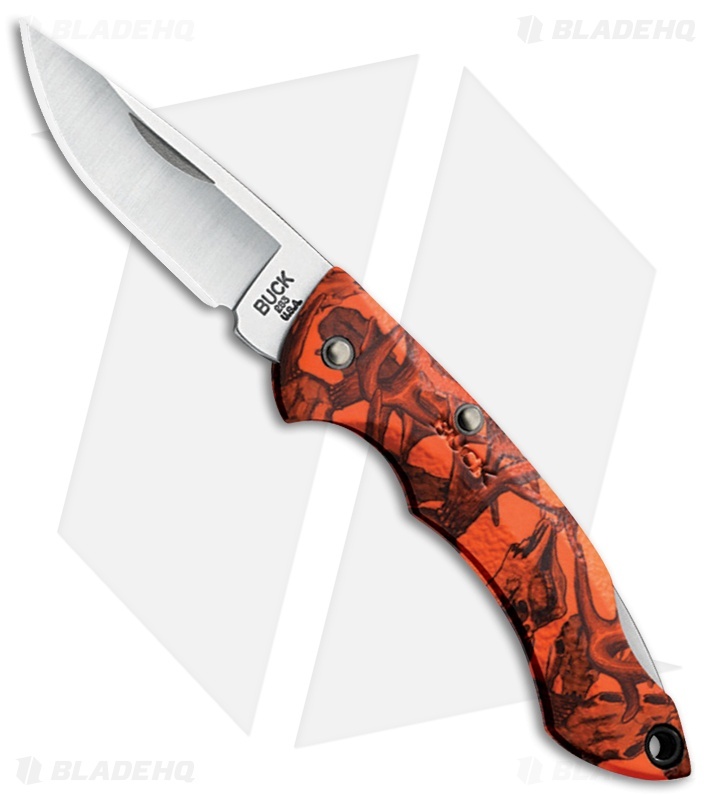 The Buck 283BKS model has a orange head hunter camo handle!